June 9, 2016 marks the beginning of the 39th annual National Nursing Assistants’ Week! It is a week set aside each year to recognize nursing assistants who have dedicated their lives to the well-being of others. Nursing Assistants play a critical role in the healthcare field today by providing direct patient care (often to the elderly and disabled). They are the front line of patient care and are vital to daily operations in hospitals and nursing care facilities. 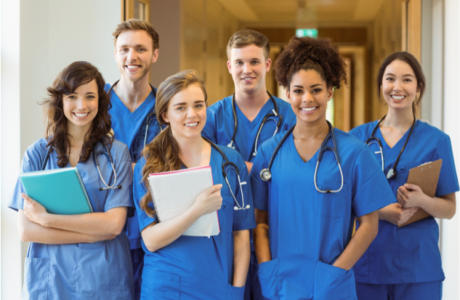 We, at Training Direct, invite you to join us in our acknowledgment of Nursing Assistants for their hard work and dedication to their patients and the healthcare field as a whole. Where do Nursing Assistants work? The role of a Nursing Assistant can be an extremely rewarding career in a growing field. According to the Bureau of Labor Statistics, employment of Nursing Assistants (nationally) is projected to grow 18% from 2014 to 2024, which is much faster than the average for all occupations. * In the state of Connecticut, Nursing Assistant employment is projected to grow 5% from 2012 to 2022. ** Because of this, there is no shortage of workplace options. Once certified, a Nursing Assistant can work in a variety of medical facilities. They may work in state, local and private hospitals, but they're most prevalent in nursing homes and long-term care facilities. They may also be found working in residential care facilities and with home healthcare service providers. In order to become a CNA, Nursing Assistants must complete a state-approved education program where they can learn the basic principles of nursing and complete supervised clinical work. These programs can be found in several locations, such as vocational and technical schools. After a training program has been completed, they will need to earn CNA certification by passing a state-issued competency exam. In addition, nursing assistants often complete a brief period of on-the-job training to learn about their specific employer’s policies and procedures. Some states have other requirements as well, such as continuing education and a criminal background check. Training Direct is a Division of Dorsey Schools committed to the mission of offering quality hands-on training and education designed to lead towards entry-level employment opportunities for those who wish to pursue a career in the Medical field. Our Nurse Aide program is a short term training program (can be completed in as little as 3-4 weeks) aiming to assist students in their development of skills and knowledge necessary to obtain certification and an entry-level position as a Nurse’s Aide in a healthcare facility. This program gives students the opportunity to gain knowledge and practical experience in things that a Nurse’s Aide may encounter in the field. To learn more about the Nurse Aide Training Program at Training Direct, call us today at 888-856-7096 or Click Here to request more information!